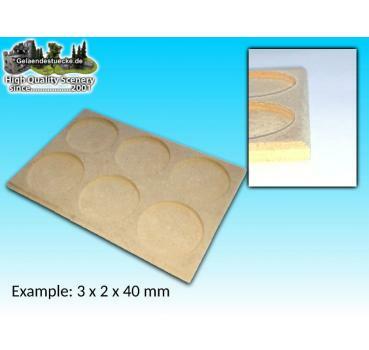 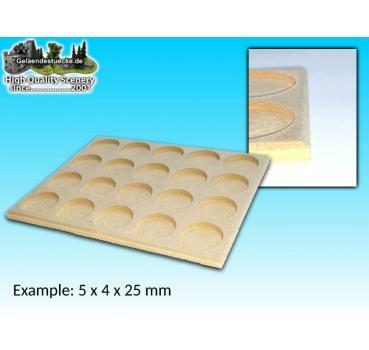 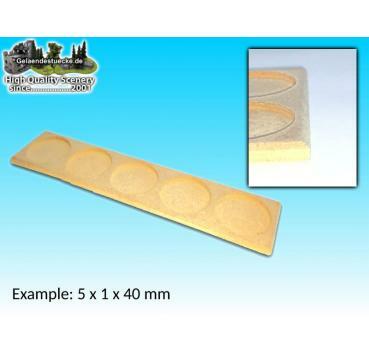 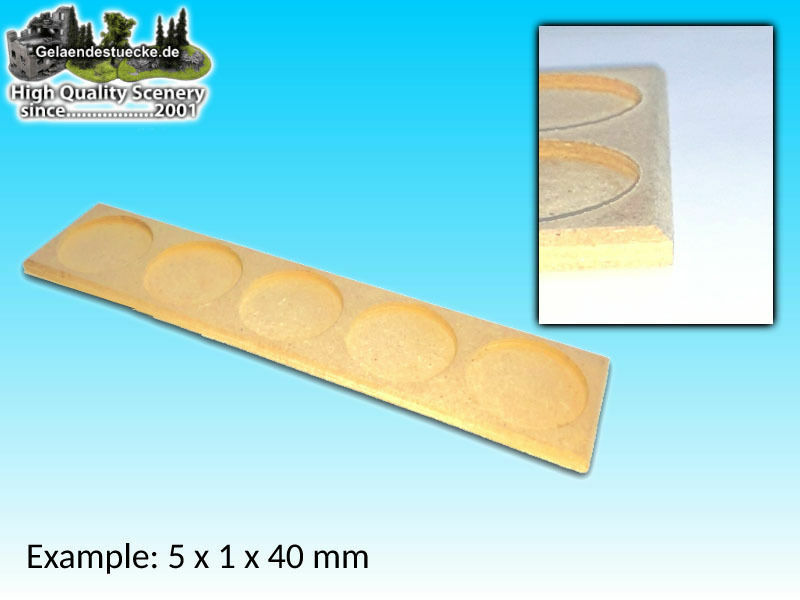 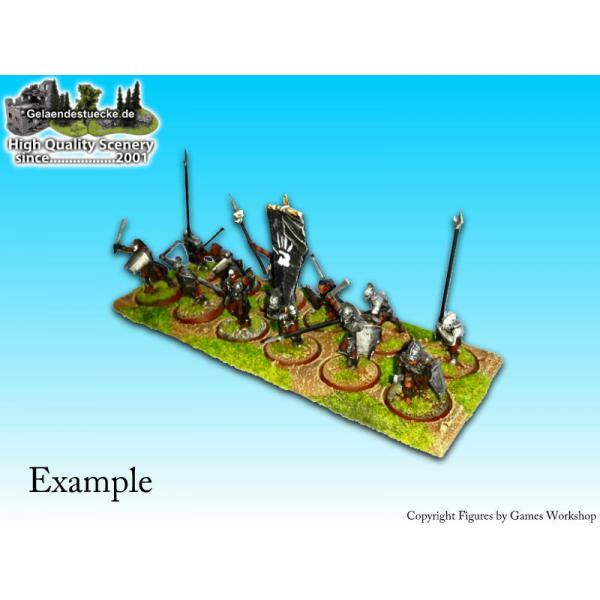 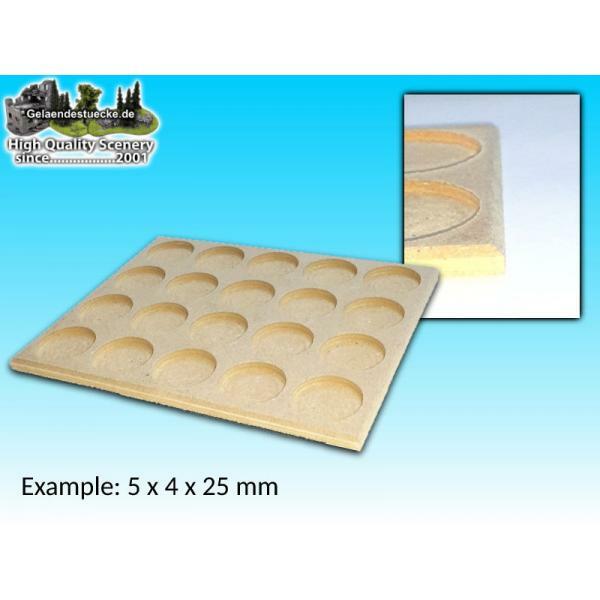 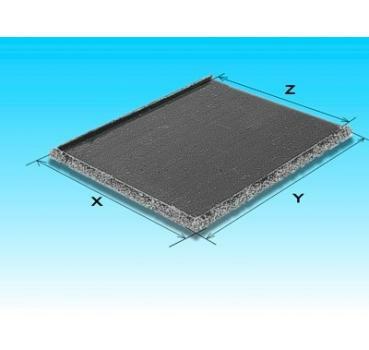 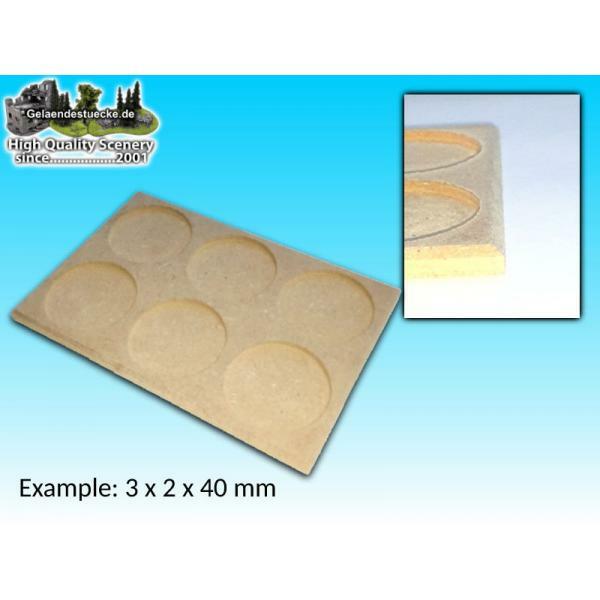 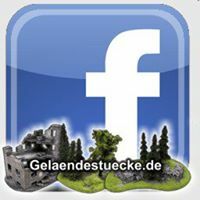 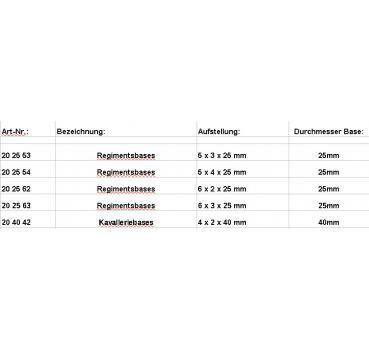 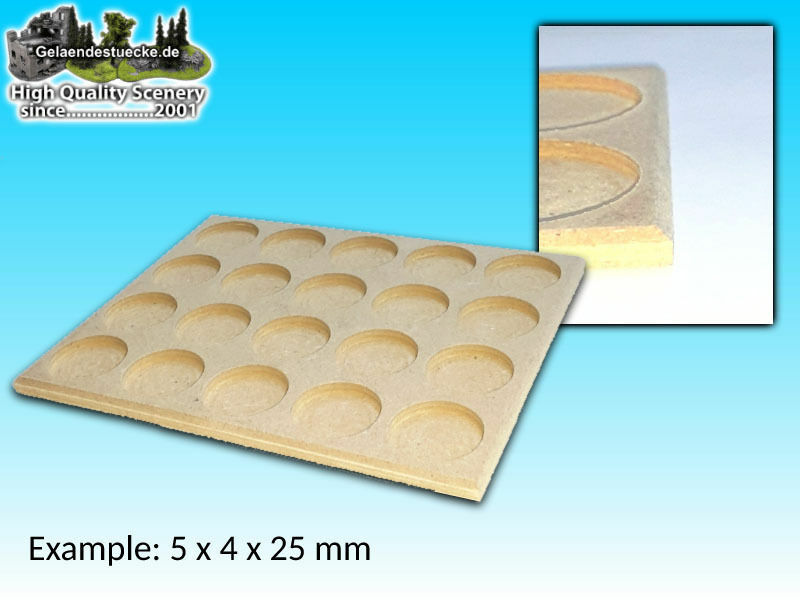 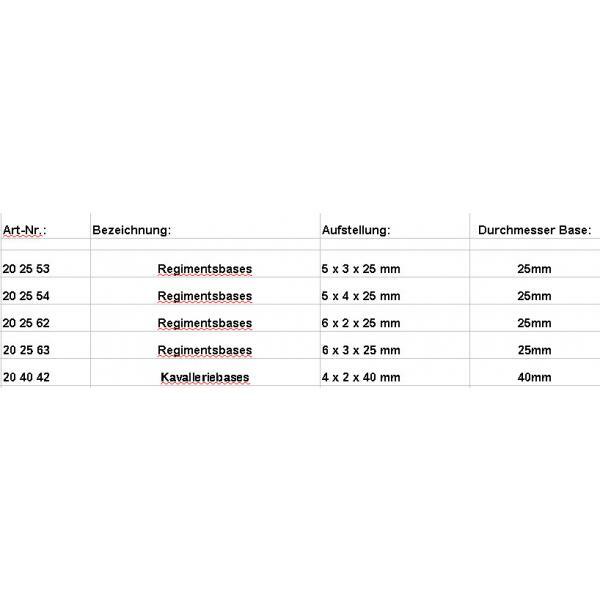 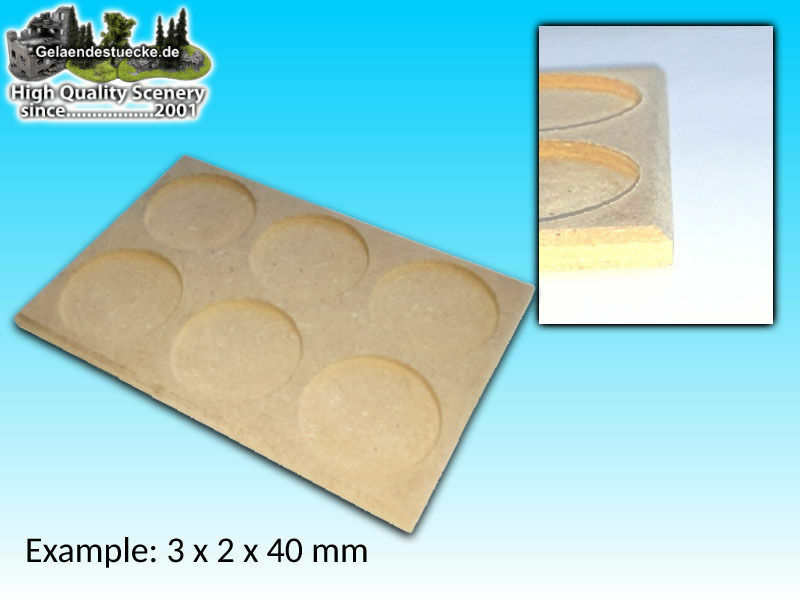 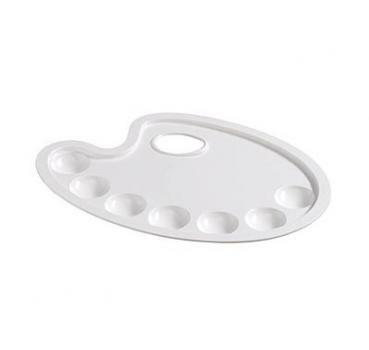 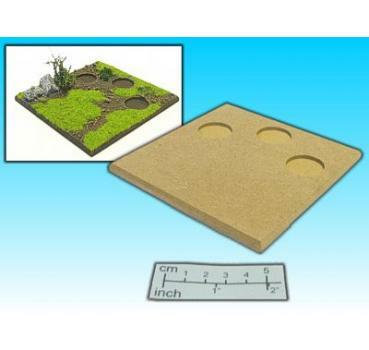 Untreated bases for regiments (e.g., cavalry, infantry ...) for round 25mm and 40mm bases). 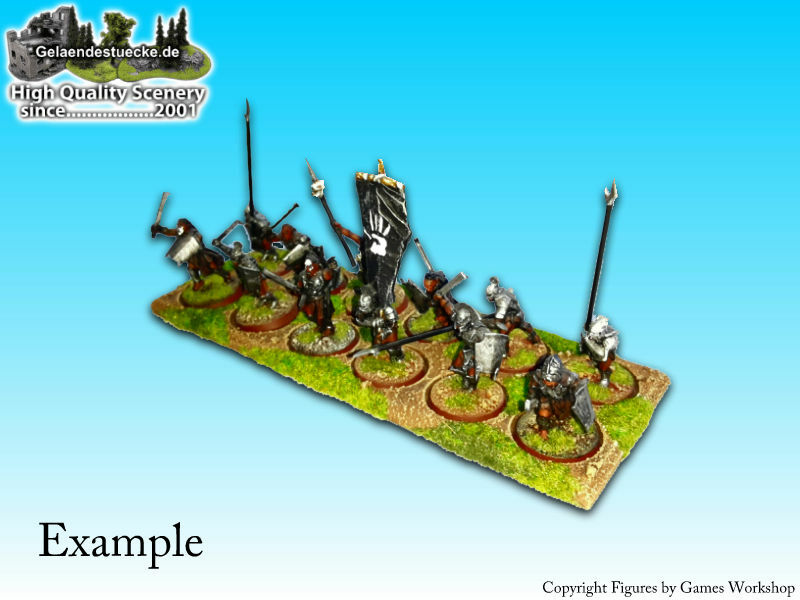 Base with oblique edge. Other sizes also here available.